For some, the phrase “conquering mountains” is metaphorical. In the case of a group of women who are set to make history, the phrase is literal. 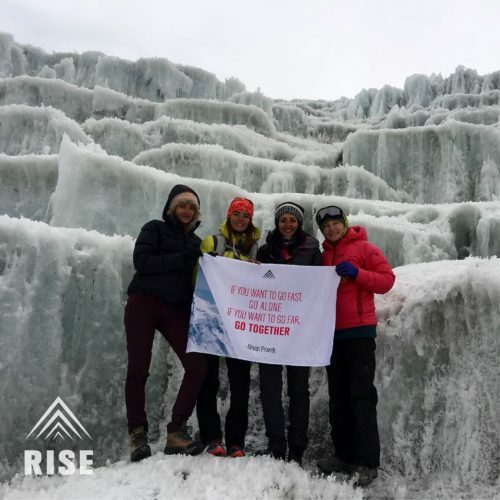 Five Jordanian women who make up an all-female mountain climbing team have their sights set on climbing Mount Everest starting April 2018 and are doing it all in the name of female empowerment. 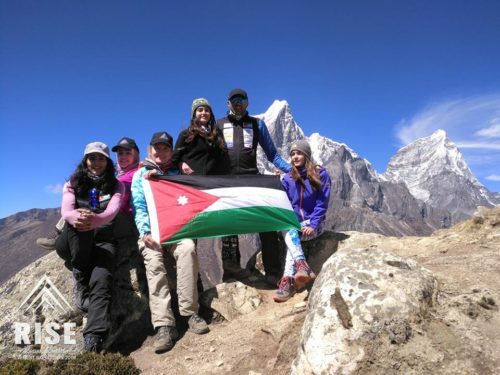 The forthcoming adventure for these women is historic because no Jordanian woman has reached the summit of Everest, let alone 5. The person responsible for making this happen is renowned Jordan climber Mostafah Salameh who has quite an impressive record. He is only one of 13 people in the world to conquer all 7 summits, and ascended both poles which is known as the “Explorers Grand Slam”, according to his website. After climbing Mt. Everest, Mostafah, who is based out of Dublin, said he would only attempt the impressive feat again if he did it alongside a woman. An article in the Jordan Times states the idea for an all-woman team, rather than just one woman, came about 2 years ago when he had a very vivid dream. He says he saw one of the women in the expedition team standing at the summit of Mt. Everest, which became the catalyst for the Rise – Jordan Women’s Everest Expedition team. Years earlier, he had a similar dream of himself standing at the summit reciting the call to prayer which led him to do the climb in 2008, so he knew he wasn’t about to ignore a second dream of the same nature. “Ever since I summited Everest in 2008, I’ve been asked by many whether I intend to do it again, to which I have always replied: ‘the next time I attempt to summit Mount Everest, it’ll be to take the first Jordanian woman with me to the top’. 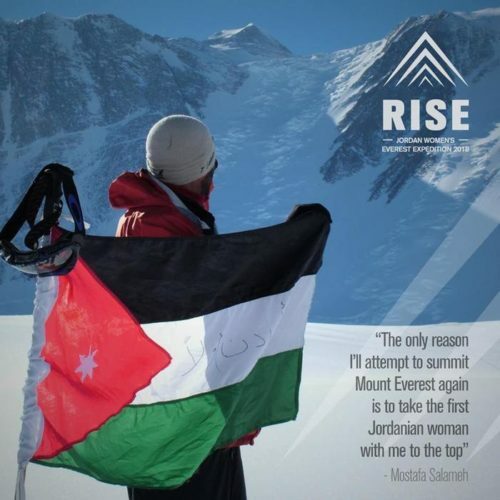 ‘Today, I’m honored to announce that I’ll be leading not one, but five Jordanian women to the summit,” said Mostafah. 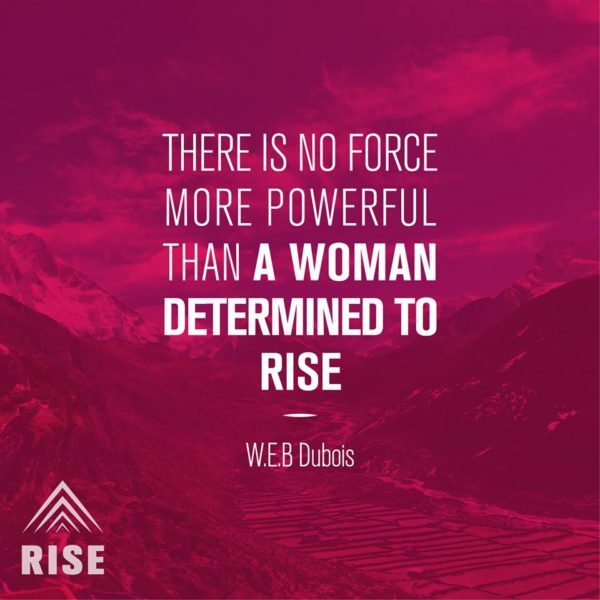 Out of the total 4000+ successful people to climb Everest, only 2 have been Arab woman, and Mostafah wants to help the Rise women change this. Because of this barrier-breaking attempt, the women are hoping they will set an example for other women in the Middle East/North Africa (MENA) region to defy gender stereotypes and engage with their communities to pursue their dreams. The women who make up the team are Farah AbuBaker, Abeer Seikaly, Israa Abu-Soufeh, Maria Halaseh, and Iman Al-Majali, the one who he saw in the dream. These women are an inspiring group who will no doubt empower many other women in their home country. One of them is a grandmother who is doing it to make her grandchildren proud, one is a university student, and another hopes to become the first hijabi woman to climb Mt. Everest. Along with inspiring other women, the group also hopes more men will be actively engaged in helping the women in their lives pursue their ambitions in order to change the stereotypical negative and “oppressed” image we see of Arab women in news media. 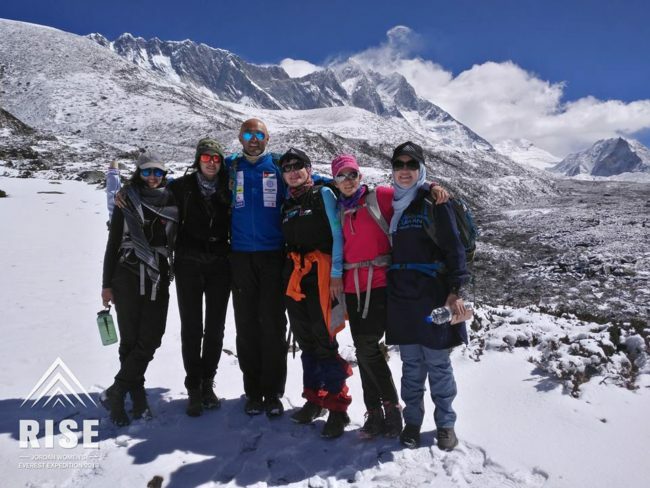 In preparation for their big trip in 2018, the team have been training in Nepal and plan to set out on a high altitude mountaineering training course so they are ready for what to expect next year. They scaled 5000+ meters in Nepal, but next year will have to climb the 8,848-meter-high Mt. Everest. It is undoubtedly an arduous task which requires special skill. But with the help of Mostafah Salameh, these women are in good hands. We wish them the best of luck and cannot wait to report on the results of their climb next year!